That’s what a lot of our readers are saying when they call it quits, according to our recent survey. 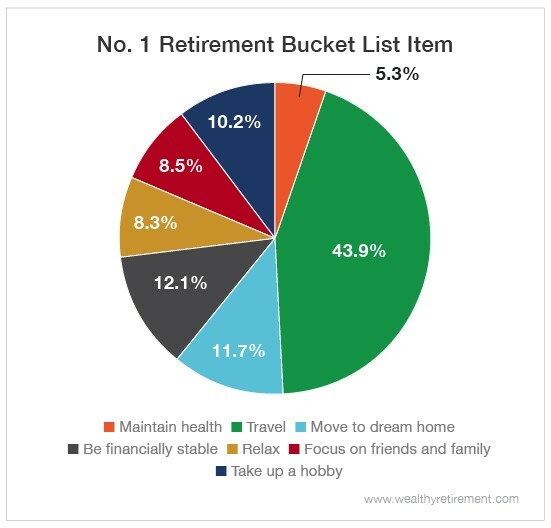 When asked what’s at the top of your golden years bucket list, almost half of you said traveling. And the most popular travel destination? Europe. I get it – there’s something alluring about biting into a buttery croissant as you read a book on the balcony of your French villa overlooking the charming Provence countryside. If you’re one of the many who are dreaming of a European getaway, here’s an idea: Why not turn your wine-filled week into something more permanent? 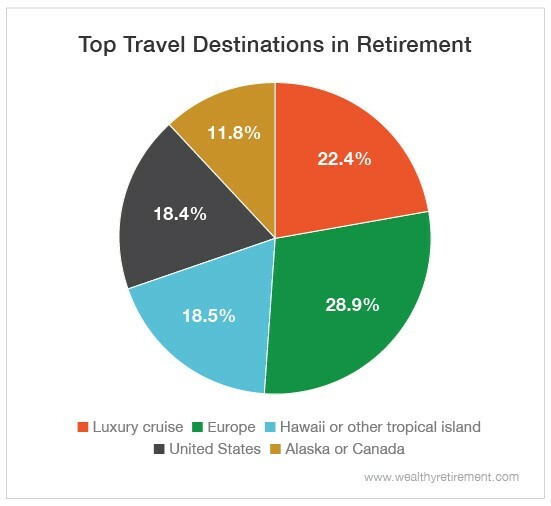 Moving abroad in retirement is more popular than you’d think – the Social Security Administration (SSA) reports that there are currently almost 500,000 American retirees living overseas. It’s a big decision, but there are plenty of reasons that so many Americans have jumped the pond. The cost of living is often much cheaper in other countries, meaning your nest egg will go a lot further. Healthcare – the biggest expense retirees face at a whopping $280,000 for a 65-year-old couple – is more affordable as well (just keep in mind that Medicare does not cover care outside of the U.S.). Plus, as long as you remain a U.S. citizen and are in a country where the SSA can send you payments, you can still collect Social Security. But do your due diligence before you pack your bags… If you plan to move out of the U.S. and want to continue collecting Social Security, review the information here. Of course, there are downsides too. You’d be farther from your friends and family, and moving abroad can be laborious and intimidating. Not to mention that if you don’t parlez-vous français or speak the language of the country you plan to move to, you’ll be in for quite a culture shock. If you aren’t sure you’re ready to go from tourist to local, consider a test run. Rent an apartment in London for a month, or stay with a friend who lives in Madrid for a few weeks. The beauty of retirement is that your time is yours to spend however – and wherever – you please. For all the cheap travel hacks, check out this piece on how to cut costs on airfare to Europe. And if you find yourself in the vineyards of Tuscany, have a glass for me. Cin cin!